While celebrating Decca's 90th Anniversary in 2019 we should remind ourselves of the massive contribution made by Annunzio Paolo Mantovani (1905-1980). A Decca artiste from 1940 until his retirement in 1975, Mantovani was a celebrated conductor, composer and arranger of light music which reached into many households in Britain and America between 1950 and 1975. You could say that his sound was instantly recognized from 1951 with the million selling Decca recording of Charmaine. His large orchestra with its trademark "cascading strings" effect sold millions of albums for Decca and its American off-shoot London Records and ensured that Decca could fund many other projects from its headquarters at West Hampstead. There were several huge selling Decca singles, too, including Cara Mia, a collaboration with singer David Whitfield, which topped the British record charts for ten weeks in 1954. At his peak Mantovani was constantly on the move, touring Britain, USA, Canada, Japan and elsewhere, as well as filming, broadcasting, recording and composing. 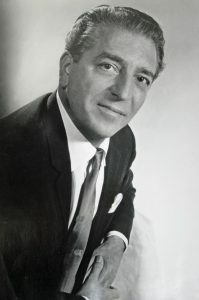 When Decca adopted stereo sound in 1958, Mantovani was at the forefront, and by 1959 had become the first recording artiste anywhere to sell over a million selling stereo albums. "Monty" was gentle, disarming and humorous - except on the podium where he was a dynamic larger-than-life character, letting loose his deepest feelings on his musicians until obtaining the results he sought. This trait applied particularly to his Decca recordings with "The Mantovani Sound" immediately recognizable as his sound, and his alone. His music is still enjoyed today through those Decca recordings, which were of the highest quality, and a series of DVDs digitally restored from his ATV television series. 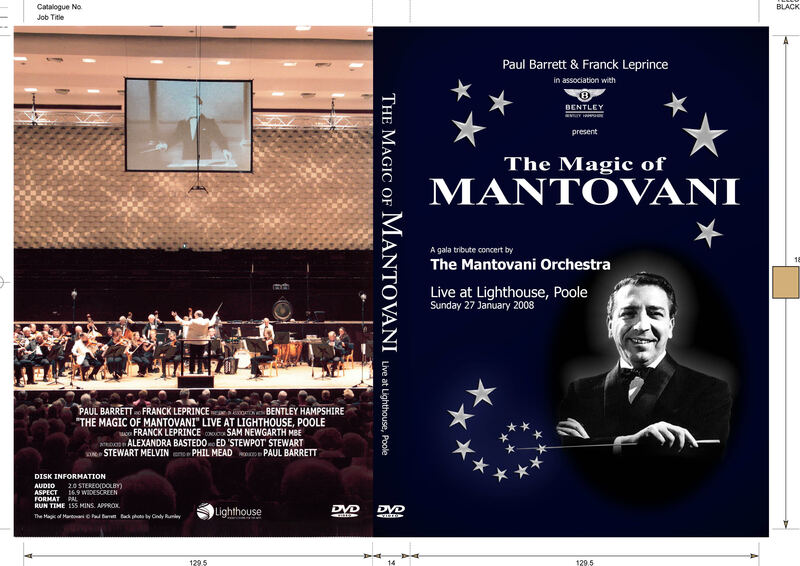 An added bonus is the British Magic of Mantovani Orchestra, under the guidance of Paul Barrett, which has been playing concerts since 2008 using original manuscripts loaned by the Mantovani family. Their next appearance is at the Bournemouth Pavilion on 28 April 2019 when Benjamin Pope will conduct a special programme entitled "Strictly Mantovani". It is certain to bring back many memories of Decca's superstar of light orchestral music. Colin MacKenzie, author, "Mantovani A Lifetime in Music". They said it would never happen, but as the shimmering strings of Mantovani’s signature arrangement of Climb Every Mountain began to close this concert, Paul Barrett knew that he had completed his own Ten Peaks Challenge. For a decade has passed since the Poole-based businessman and musician started planning the first of this series of concerts to re-create the music of Anglo Italian maestro Annunzio Mantovani. Critics thought he was mad. The great bandleader died nearly 40 years ago. His music had drifted out of fashion. Where would the audiences come from? Yet year after year packed houses have been delighted and amazed at the quality and commitment of Paul’s 48 piece hand-picked Magic of Mantovani Orchestra. Last night’s Pavilion concert was the busiest ever with over a thousand Mantovani fans being treated to a programme dedicated to his movie themes. And there to witness it were the Mantovani family including his grandson Simon Mott who paid tribute to Paul Barrett, the musicians and the team dedicated to keeping his grandfather’s music alive. Under conductor Gavin Sutherland - one of Britain’s foremost experts in light orchestral music - they played numbers from The King and I, My Fair Lady, Phantom of the Opera , Mutiny on the Bounty, The Magnificent Seven and many more. Featured soloists included pianist Sam Hanson, trumpeter Mike Lovatt, singers Rossano Sal and Gemma Truss and of course Paul Barrett himself who plays percussion and excels in wearing silly hats. After the aforementioned Climb Every Mountain - officially the final number -there were two encores: the Mantovani classic Charmaine and a fun, hastily rehearsed version of Zorba’s Dance. Ten years have seen eight concerts so far and 72-year-old Paul must be looking forward with relish to the next two.